I realised that I have not done a single food entry even though I am just like every true blue Singaporean out there who values cheap and good food and craves for excellent food that starts off our day and ends our nights. Nasi Lemak (fragrant rice dish cooked in coconut milk and pandan leaf, with condiments like sambal, otak-otak and ikan billis or in coupled with a cup of teh tarik (pulled milk tea). 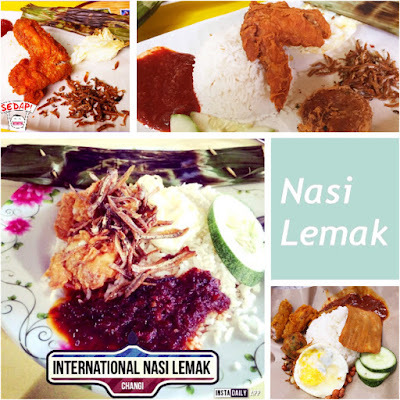 My pick is International Nasi Lemak at Changi Village or Salera Rasa at Adam road food market although we frequent Selera Rasa at Adam Road Food Centre often. or http://sg.openrice.com/singapore/article/best-nasi-lemak-in-singapore/1024 and the recipe: http://allrecipes.com/recipe/78938/malaysian-nasi-lemak/. 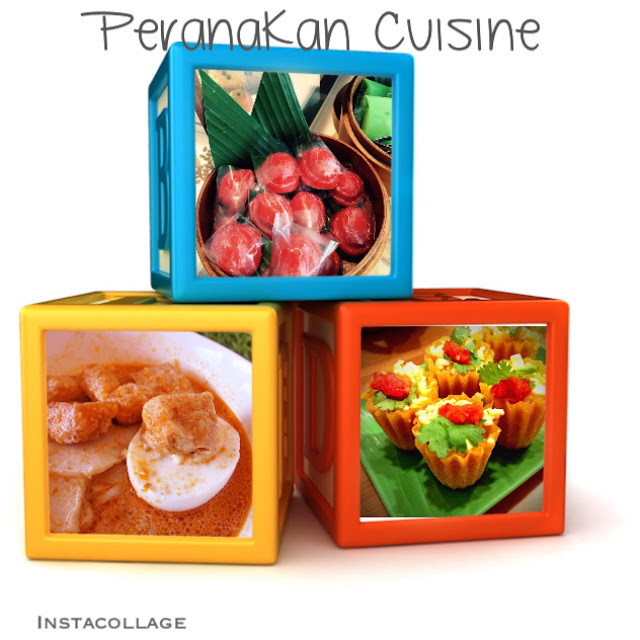 This dish is an art of preparation and seen this part of the world. 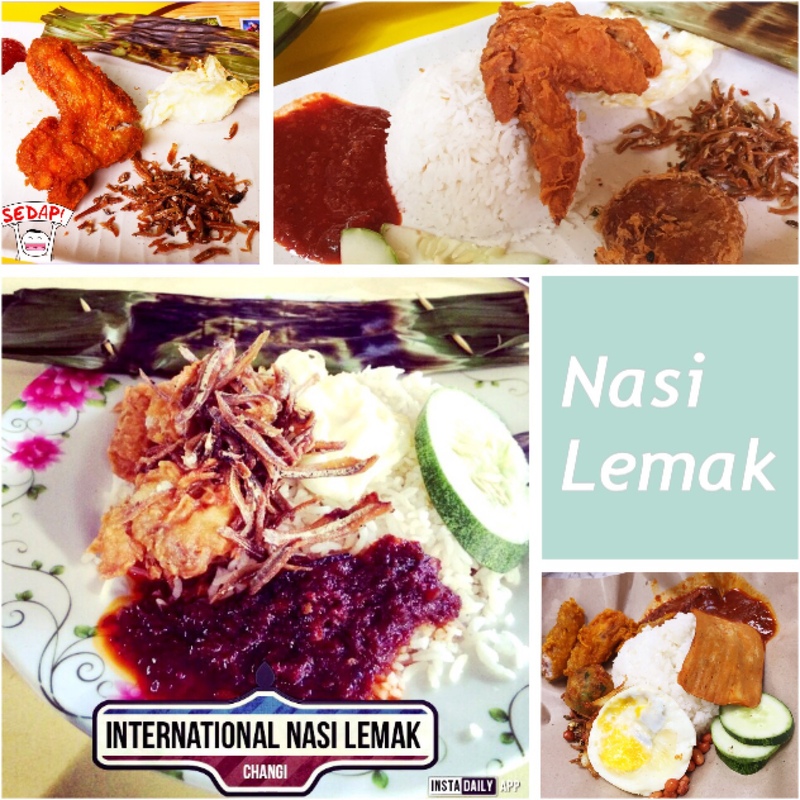 Malay for coconut rice, Nasi lemak is a fragrant rice dish cooked in coconut milk and pandan leaf. Accompanied with otak-otak and ikan billis and condiments like Sambal (spicy sauce made from a variety of chili pounded into a chili paste with ingredients such as shrimp paste, fish sauce, garlic, shallot, sugar, lime juice etc). Otak-otak is a fish puree blend from raw fish, chopped onions, coconut milk, herbs and spices with egg that is wrapped in a banana leaf and grilled over an open charcoal fire. 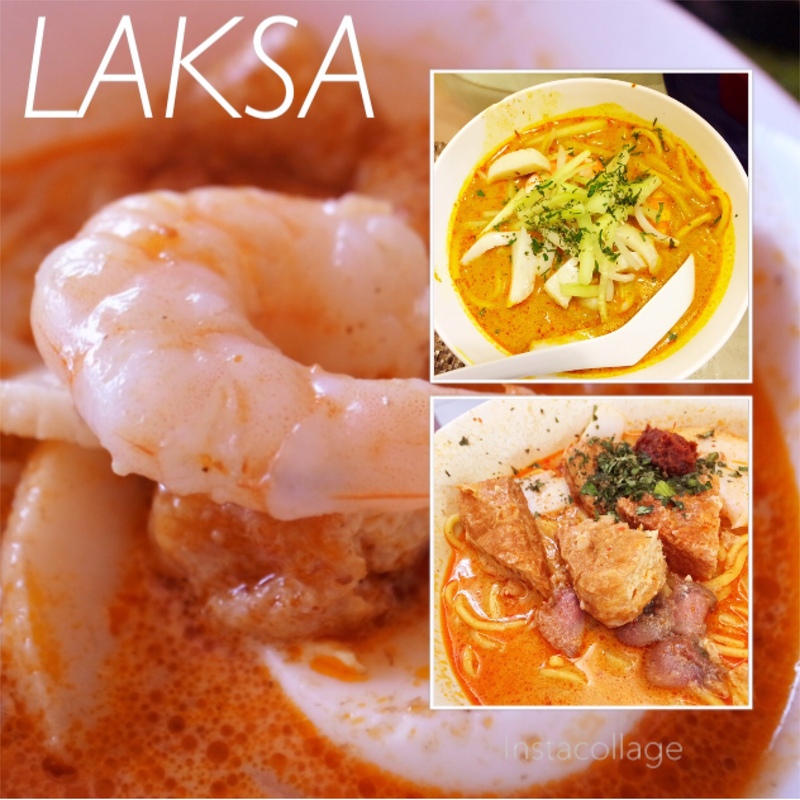 Flavored with spicy rempah, a Malay term for the hand-pounded spices and seasoning. Ikan billis is the Malay term for anchovies. If you do not fancy rice in the morning or have space left in your stomach after a hearty Malay Nasi Lemak breakfast, my next food recommendation is Kaya Toast. This traditional Chinese local breakfast endears itself to the young and old as it is easy to find in food centres, hawker centres, cafes all over the island. The main star of this set is a kaya spread (made from Pandan leaf aka Screwpine leaves and 3 other basic ingredients i.e. eggs, sugar and coconut milk) on toasted bread. In some locations, the toasting is done over charcoal but it is more common to see electric toasting of the bread . The breakfast set is accompanied with soft-boiled (aka half-boiled eggs) and washed down with hot piping traditional coffee which is more full bodied, less acidic with a soft buttery after-taste. My usual place for kaya toast set is either at Ya Kun (http://yakun.com/ a Singapore brand which started back in the 1940s or Killiney Kopitiam (http://killiney-kopitiam.com/coprofile.html) another Singapore brand that started back in 1919 from a small foodshop at Killiney Road. An alternative that hails from India: Roti Prata, (aka Roti Chanai in Malaysia) which is a type of Indian pancake made of flour. I usually order 2 pieces of Roti Prata (1st piece with egg and a 2nd plain prata). It usually comes with curry gravy and washed down with coffee. Those who cannot take curry will choose sugar to add flavour to this dish. 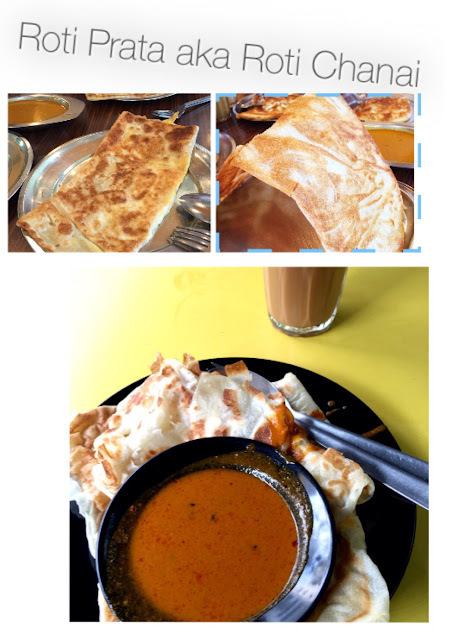 For those wanting to have a go at making this, http://ieatishootipost.sg/how-to-make-roti-prata-aka-roti-canai-everything-you-need-to-know/ has a recipe. For me, I prefer to leave it to the professionals at Springleaf Prata Place located at 49 Jalan Tua Kong (which opens from morning till 11 p.m. so this works well as a supper dish too). 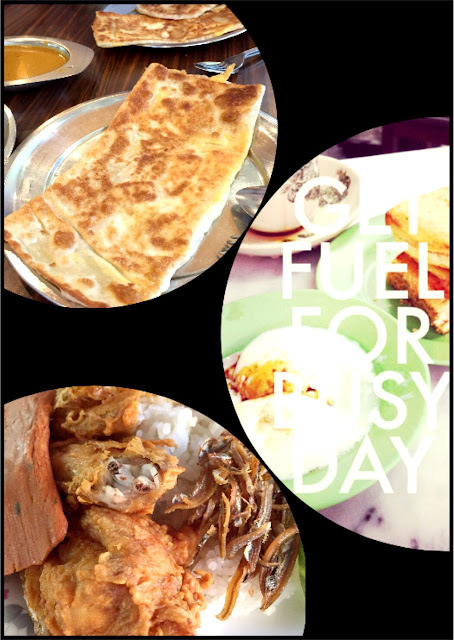 http://ieatishootipost.sg/singapore-famous-five-best-roti-prata-2/ has his list of top 5 locations serving roti prata. Laksa is a spicy coconut-based thick bee hoon noodle soup dish of the Peranakans (descendants of early Chinese migrants who settled in parts of Malaysia, Indonesia and Singapore with their unique blend of Chinese, Malay and other influences in their cuisine). This dish is usually served with fishcakes and prawns (cockles are a maybe for some of us) topped with sambal for a food journey to the seaside. Most important ingredient is the crabs – please do not use the small flower crabs and use at least the mud crabs with more fleshy pieces (especially on the claws). 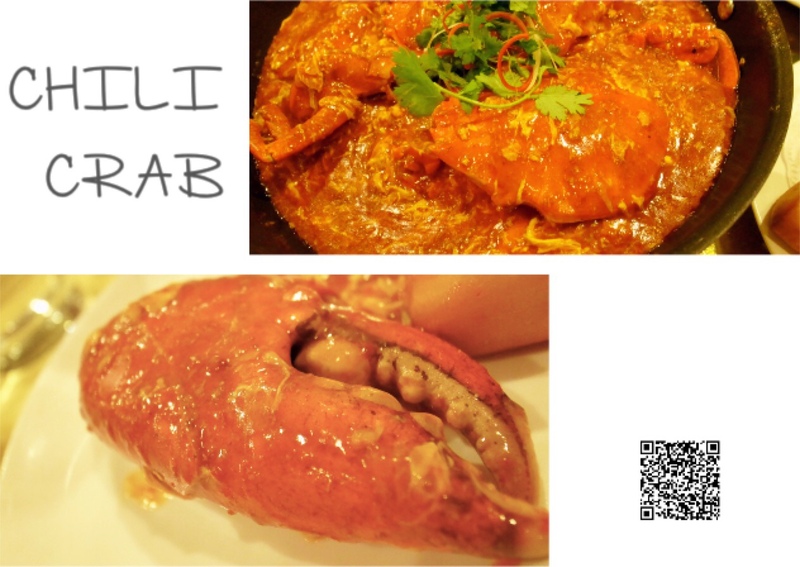 This is a must-have seafood dish in which the stir-fried crab is coated with sweet, savoury and spicy tomato based sauce. Singaporeans usually take this with steam or deep fried buns (also known as mantou). This dish is best enjoyed using fingers to pry open the crab flesh especially for those who manage to get one of the 2 crab claws and is certainly not for those who do not like to dig in to enjoy their food. Imagine having glistening skewered meats (usually pork (sometimes with lard), chicken or mutton) lovingly grilled over charcoal accompanied with a dressing of thick and tangy peanut based sauce at S$0.80 -$1.50 a-piece (used to be cheaper but then again we had inflation). One of the best stalls adds grated pineapple to its delicious sauce. A final plug for dinner involves the Peranakan cuisine. Peranakans themselves often keep many of their family recipes within their family and truth be told, their recipes often involve at least 1 full day of labor of love (many actually require more as there are different sauces prepared for different dishes). 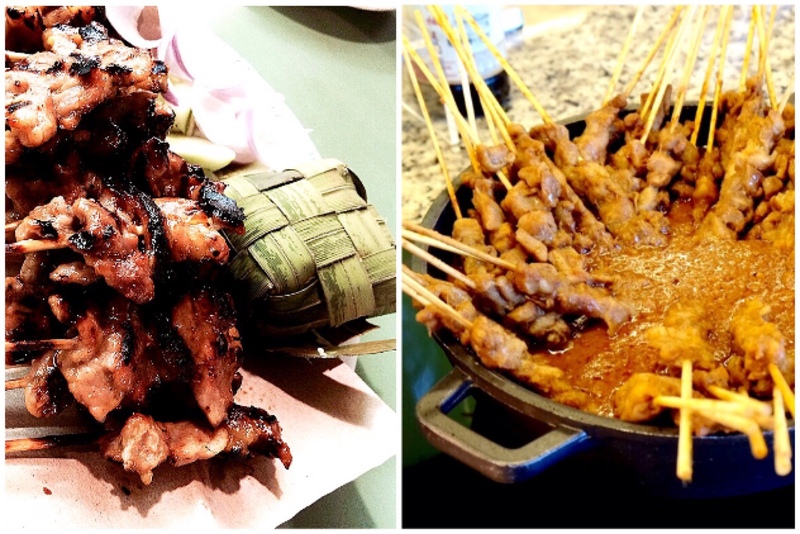 CNN has a good way of explaining this food art: http://travel.cnn.com/getting-know-singapores-oldest-fusion-cuisine-187406. 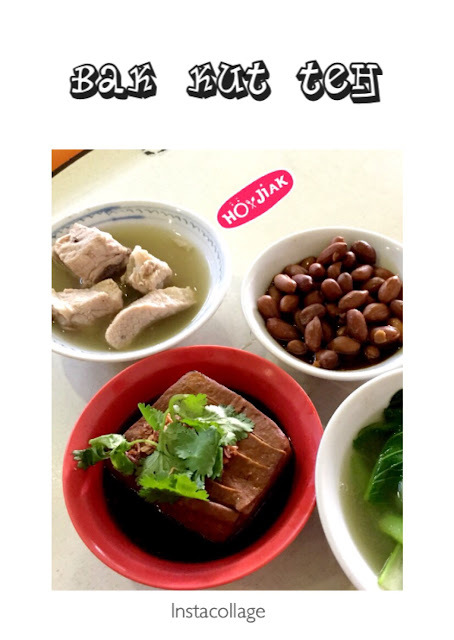 For those brave souls wanting to try out, Amazon has a few books on sale – just search ‘Nyonya recipes’ in their book section. 1. Durian – aka King of Fruit. I think I am right in saying that this is one fruit that will divide the world into ‘Love it’ and ‘Hate it’ groups. The first thing that will hit you is the smell - to durian lovers, its distinctive scent is perfume while those unable to stomach it says that it is offensive like rotten flesh. One thing for sure, the durian scent permeates everything even when the husk is intact so it is the only fruit that is prohibited on public transport and buildings (and even airplanes!). There are many varieties (and grades) of durians but its general creamy and pudding-like flesh entices durian lovers to eat it over and over again. Caution though…the scent lingers on your fingers (if you use them to eat the fruit) so it is best to do an old technique of riding the smell from your fingers by washing your fingers under water running over a durian shell. As for your breath, just make sure your companion does not mind the scent as mints are absolutely of no help at all. 2. Mangosteen – aka Queen of Fruit. You had the king so now here’s the queen. Its bright white flesh is eaten fresh after removing the skin. Please note that the semi-hard reddish shells stains everything you touch so do be careful when disposing the shells. 3. Watermelon - This fruit is relatively inexpensive but substantial in water content. It is best taken on a hot summer day while sitting on a sandy beach overlooking the sea. 4. Rambutan - this fruit is distinctive as it is red with a hairy with fleshy soft spines. The flesh inside is translucent, sweet and firm. 5. Coconuts- the best are the young coconuts which are green on the outside with a thin white flesh on the inside. The juice fills the inside and best drunk straight from the husk to cool and refresh a dehydrated person.